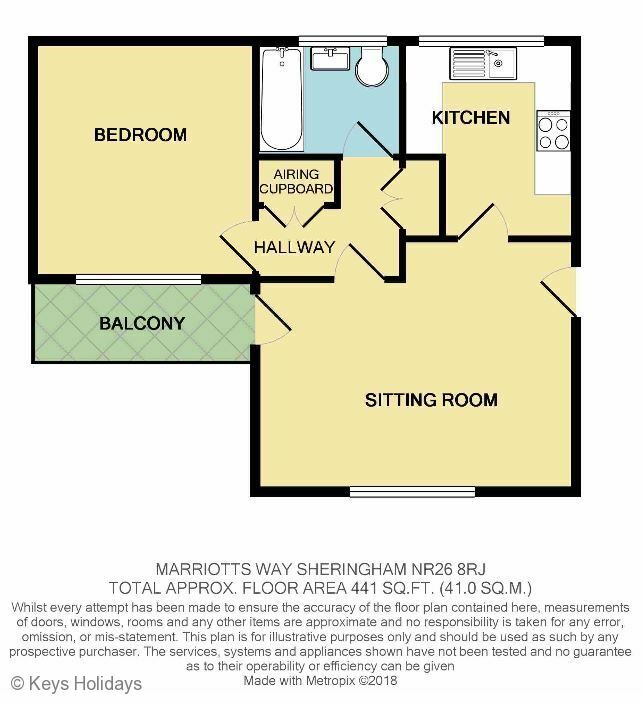 4 Marriotts Way is a newly renovated, beautifully presented, bright 1st floor flat. 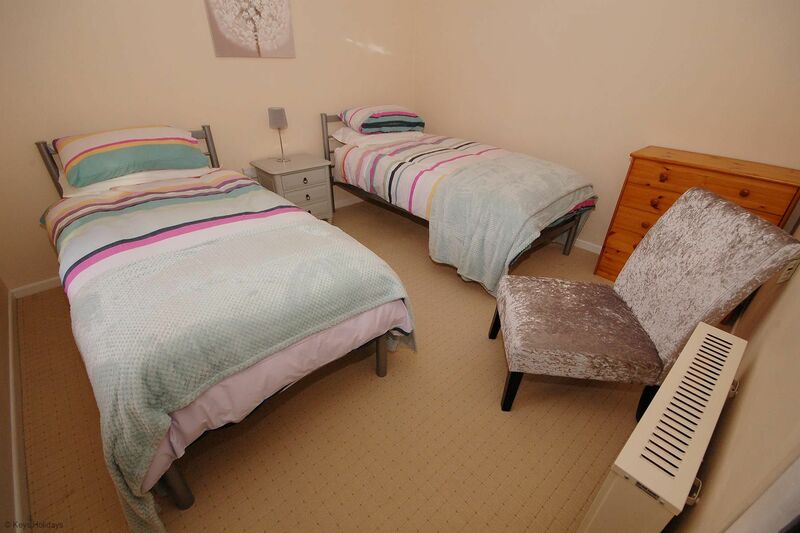 Close to the railway station and Sheringham Golf Course, it is well-equipped and conveniently located within an easy stroll of the award-winning beaches and town centre. 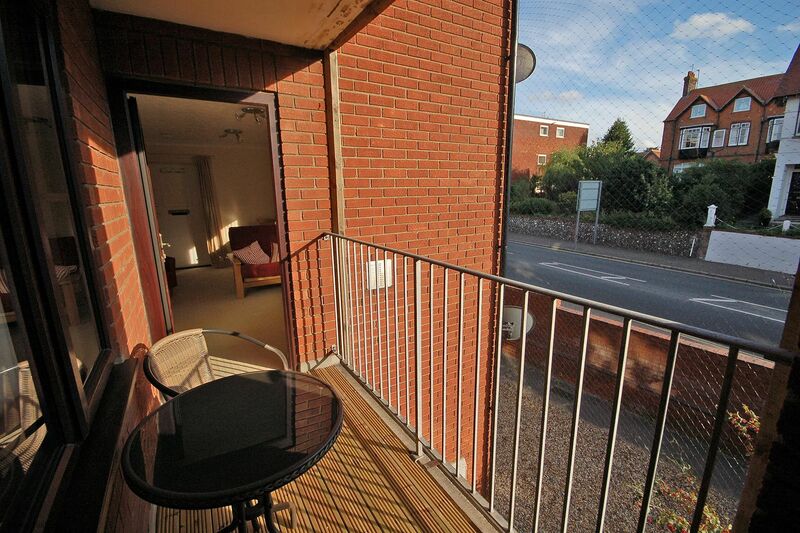 It boasts an allocated parking space and a small balcony; ideal for watching the world go by on those hot summer evenings! Ground floor: Door leading into communal entrance hall, with stairs leading up to first floor. First floor: Front door leading into open plan lounge/diner with TV and door to balcony, doors to: 1 twin bedroom. Hallway with cupboard used as a wardrobe. 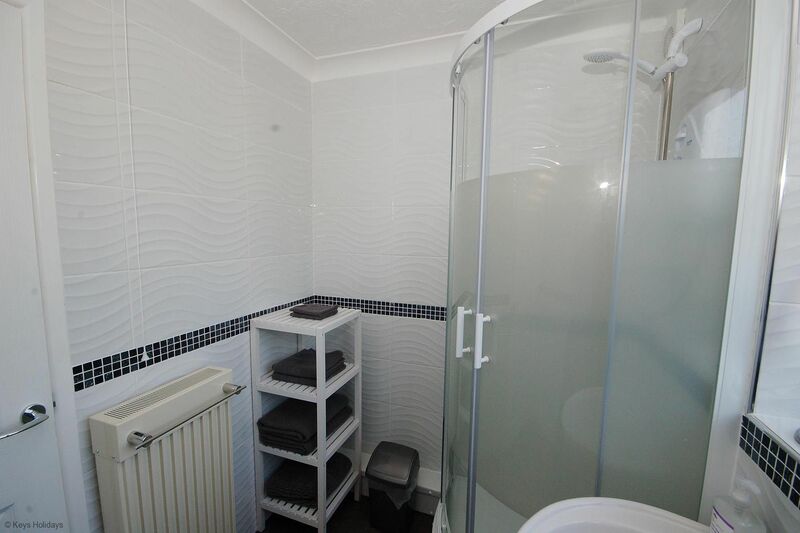 Family shower room: with WC, shower cubicle and hand basin, Kitchen: with electric cooker, electric hob, fridge/freezer and microwave. Please note: Amenities: Bed linen and towels supplied. 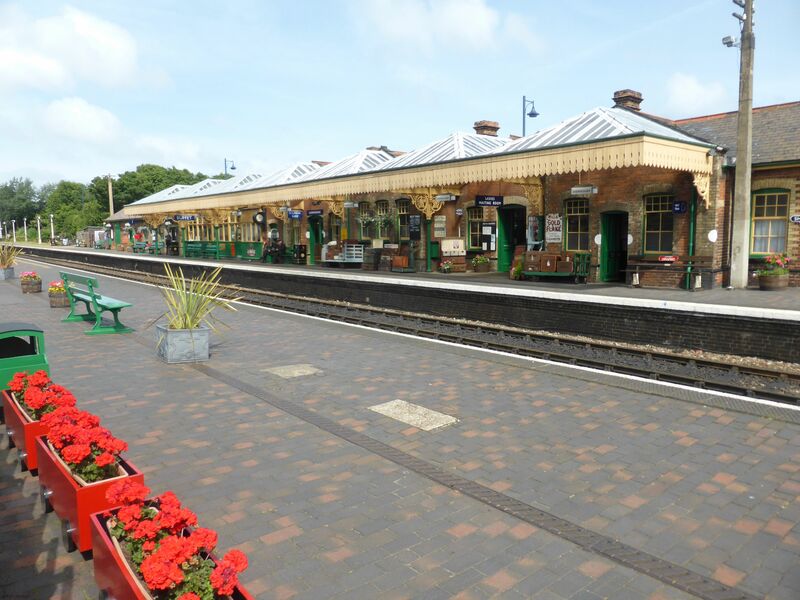 Location: Coast a 10-minute walk and pubs and shops a 5-minute walk. 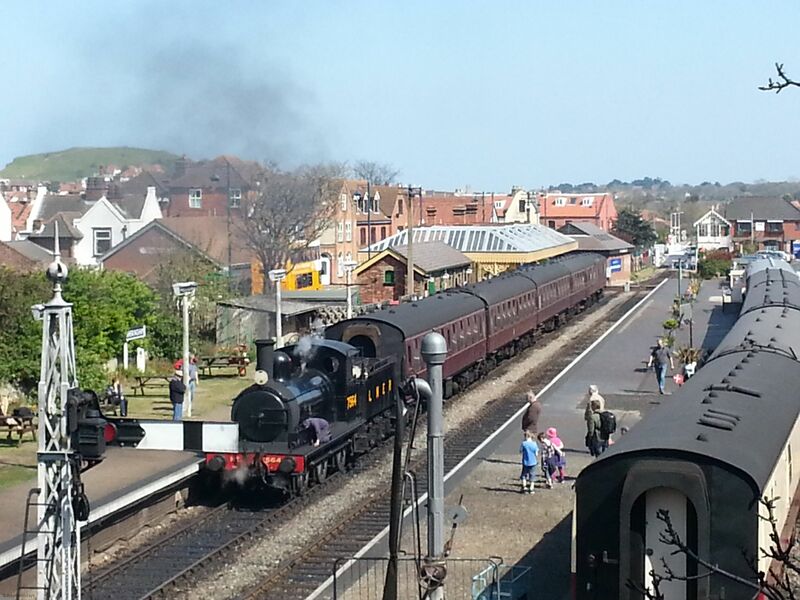 Very close to the traditional steam railway. Wi-fi, 1 x allocated parking space.